Another RPattz - SVC connection! The whole article was pretty funny. Read it here. Bitten by Erin at 10:40 AM 154 enjoyed the bouquet. OMG! It's here, and I am rather excited for it! 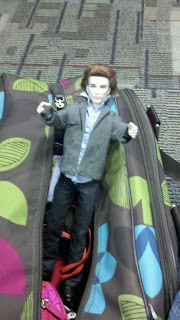 Not only do we see Jacob tearing his shirt off in rage once again, but we also get a glimpse of Edward breaking the bed! Awesome. Bitten by Jes at 8:50 PM 11 enjoyed the bouquet. Tessa pushed the carriage curtains aside. Outside she could see the gaslights going by in a yellow blur; two children were slumped in a doorway, leaning against each other, asleep. Temple Bar flew by overhead. Bitten by Kari at 7:43 PM 1 enjoyed the bouquet. What do ya think? I think she looks awesome. Hoping this movie does the book justice! 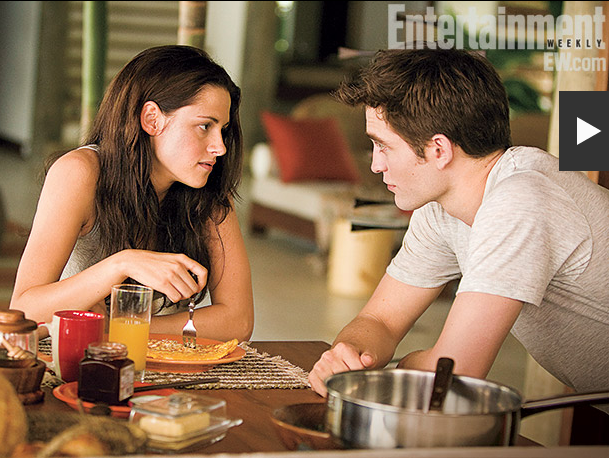 Read all about it at Entertainment Weekly! Bitten by Kari at 2:48 PM 3 enjoyed the bouquet. "No one ever asks me to do anything. It's just so easy. When I'm not working I'm still one of those people who calls up their entire phone book to say, 'Hey, what you doing? Are you doing anything tonight? 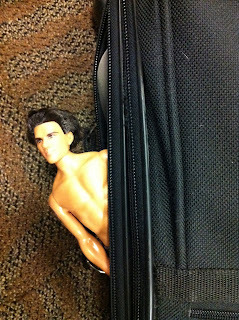 Can I come with you?' "
Ummmm, HELLO!!!!! I'm always free and available Rob!! Who are these fools not calling to hangout with him????? Crazy people. Bitten by Jes at 9:32 PM 2 enjoyed the bouquet. According the sources, Saoirse Ronan (from Lovely Bones) is set to play the lead (Wanderer?) in The Host. Am I the only one who didn't know they were making The Host into a movie? I'm actually pretty excited about seeing this book on the big screen. Now who's going to play Jared? Bitten by Kari at 6:58 AM 3 enjoyed the bouquet. View the entire collection of shots here. Bitten by Kari at 3:58 PM 4 enjoyed the bouquet. For those of us who had questions about the ending or the direction she decided to take. Definitely worth the read! Of course, it's spoilertastic! Don't read until you've finished City of Fallen Angels! Bitten by Kari at 1:10 PM 0 enjoyed the bouquet. 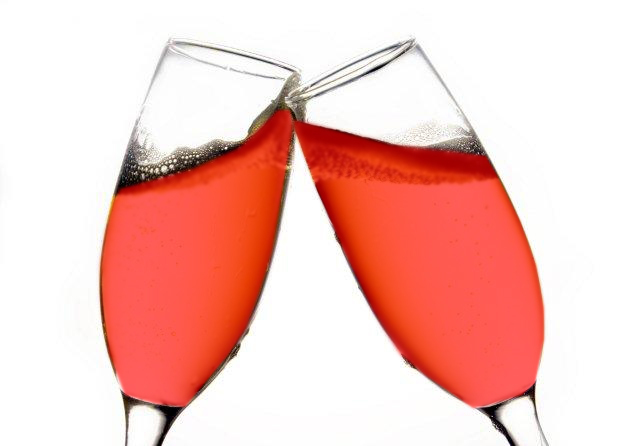 It's been three years since we started this blog. It started with a mutual obsession with Twilight and it's turned into so much more. Happy Anniversary! Bitten by Kari at 7:13 AM 4 enjoyed the bouquet. No, not the (I'm assuming) awful "musical" Baz Luhrman did starring Nicole Kidman and Huge Jackman(hahahahah). I have been all Australia, all the time, with the books I have been reading lately. I am obsessed with Australian authors. Do yourselves a favor and read some books by Melina Marchetta (Jellicoe Road, Saving Francesca), Markus Zusak (The Book Thief, I Am The Messanger), and John Marsden (The Tomorrow Series). I also read a book that took place in Australia, Stolen, by Lucy Christopher. LOVED it! Also developed a good case of Stockholm Syndrome. Bitten by Ryah at 2:56 PM 3 enjoyed the bouquet. Labels: what are you reading? Gale & Peeta Cast for Hunger Games Movie! It's official! Lionsgate announced who their picks were to play Gale & Peeta in the Hunger Games movie. What are your thoughts?? opinions?? Bitten by Ginger @ GReads! at 12:53 PM 12 enjoyed the bouquet. Yay! Not sure when it comes out though. Bitten by Kari at 7:21 PM 8 enjoyed the bouquet. Bitten by Kari at 1:48 PM 7 enjoyed the bouquet. As the Queen and Court laughed, the icy feeling in Jace’s chest intensified. Clary didn’t understand faeries, he thought. He’d tried to explain, but there was no explaining, not really. Whatever the Queen wanted from them, it wasn’t a kiss from him; she could have demanded that without all this show and nonsense. What she wanted was to see them pinned and struggling like butterflies. It was something immortality did to you, he’d often thought: dulled your senses, your emotions; the sharp, uncontrollable, pitiable responses of human beings were to faeries like fresh blood to a vampire. Something living. Something they didn’t have themselves. Bitten by Kari at 7:37 AM 7 enjoyed the bouquet. Jennifer Lawrence, Oscar nominee this year for Winter's Bone, has been given the role. I'm glad they gave to someone who can act! Bitten by Ryah at 3:36 PM 3 enjoyed the bouquet. A Romantic Vacation to Keep the Peace! 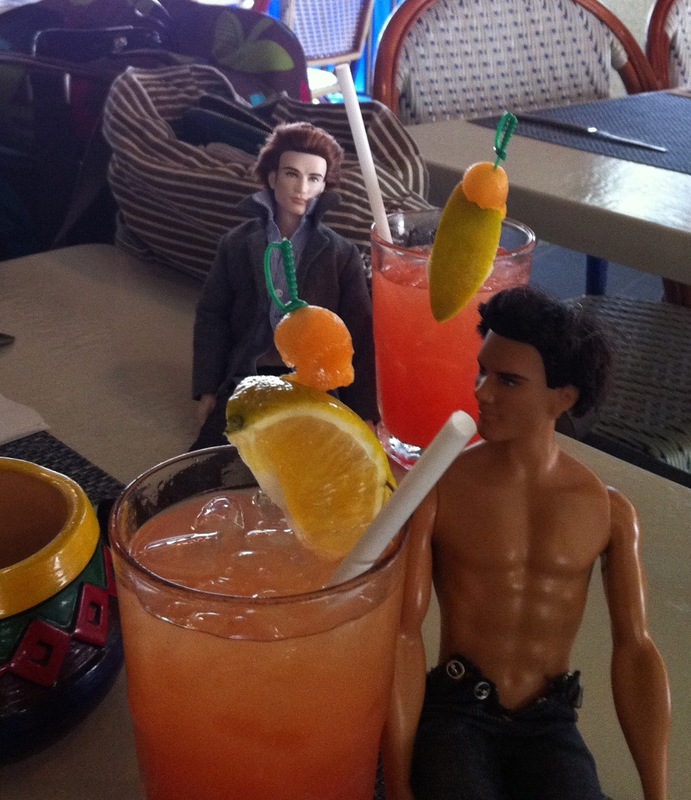 Jes and I were privileged enough to supervise a vacation with Jacob and Edward. Even though it was a tad intimate, both have agreed to share some of their vacation photos with you! Enjoy!!! 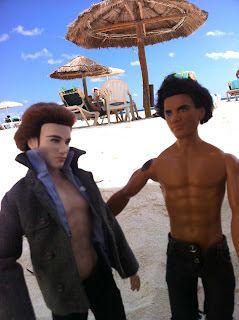 Their last night on the beach--Que Romantico! Bitten by Corinne at 10:19 PM 7 enjoyed the bouquet. (Hopefully) Jace? Shirtless? Yes, please. Bitten by Erin at 10:05 PM 3 enjoyed the bouquet. Hunger Games movie date set! YES! 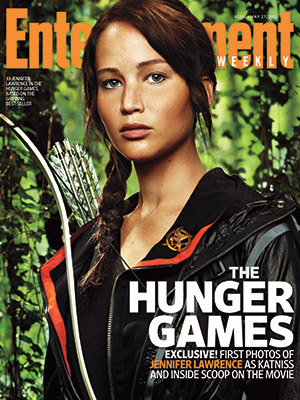 We finally have a date for the Hunger Games movie! Bitten by Erin at 5:33 PM 0 enjoyed the bouquet. Bitten by Kari at 1:56 PM 4 enjoyed the bouquet. 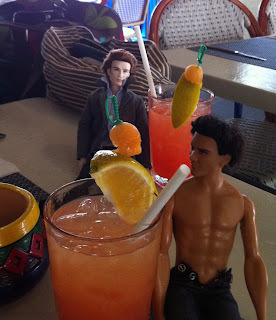 "You got to try the tortilla soup! It's incredible. She's honed it." Bitten by Kari at 4:41 PM 2 enjoyed the bouquet. 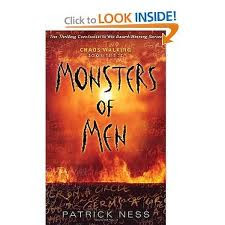 Monsters of Men, the last book in the Chaos Walking Trilogy. Bitten by Ryah at 12:31 PM 5 enjoyed the bouquet. 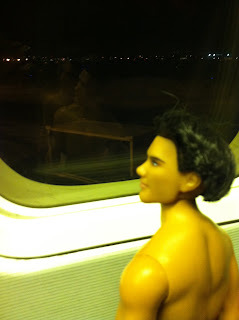 City of Fallen Angels book trailer - in the making! Cassandra Clare has been giving us up to the minute tweets of the book trailer they're shooting for City of Fallen Angels & WOW at the pics!! I can't wait to see the finished project :-) Click here to see all of them that she is posting on her twitter feed. Enjoy! Bitten by Ginger @ GReads! at 11:42 AM 0 enjoyed the bouquet. 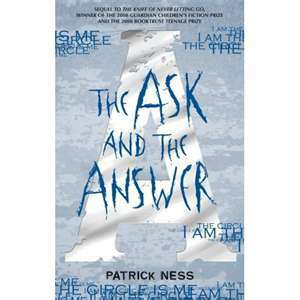 The Ask and The Answer, by Patrick Ness. 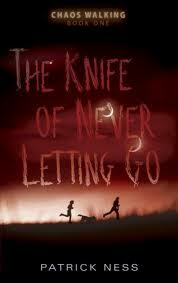 This is the second Chaos Walking Book (first is The Knife of Never Letting Go). My Review: AGGGGGHHHHH! So EFFING GOOD! So good that I read it in one day! So good that you should be reading them RIGHT NOW! Bitten by Ryah at 9:09 AM 2 enjoyed the bouquet. All I have to say is READ THIS BOOK! So effing good. Bitten by Ryah at 8:11 AM 6 enjoyed the bouquet.